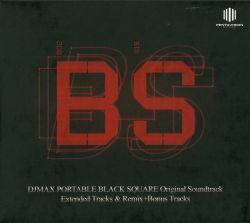 Comes with the Japanese Limited Edition version of the game "DJMAX Portable BLACK SQUARE". No liner notes included with this release, and the discs are housed in two double disc cases with no inserts. Contains 1 less track than the Korean release.